If you missed #15 click here. Best Moment: When you start nailing the really difficult Additions - they're tough to master but it's so good when you start landing them over and over again! 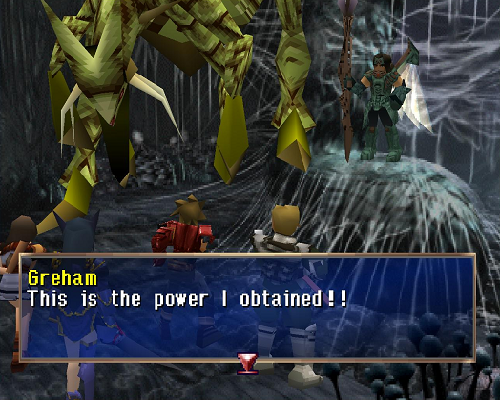 If you're a fan of the classic Final Fantasy games and want to feel a similar buzz that you had playing those games, and struggle to find any, give Legend of the Dragoon a go. Some have called this a Final Fantasy ripoff, some have called it a great homage to the Japanese RPG classic. Some have said this is clunky, difficult and poor, where as others say it's a brilliant alternative to those FF games. I'm one of the latter. The Legend of Dragoon plays very similar to the Final Fantasy games, but, for me, there's a few distinctive differences between this and the legendary FF games. Firstly is the Additions - which replaces any "normal" attacking most RPG games offer, by basically inviting you to chain combo attacks against your enemy. You have to time your moves to perfection, or risk missing and wasting far less damage. It's difficult to get used to doing the Additions but once you get the hang of it, it really opens up gameplay, and makes those normal battles between cutscenes and boss fights count. Secondly is the Dragoons themselves. Without spoiling the game too much, Dragoons have the power to control the spirits of dragons and give you magical powers. Each character and their respective Dragoon powers offer a different element, and really do dramatically change the course of boss battles, depending on who you have in your party and when. 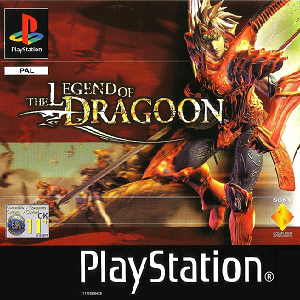 All in all The Legend of Dragoon is a great alternative RPG game on the PS1 to the Final Fantasy games and the story is really good too, with some really unpredictable plot twists in the game. I highly recommend this game, and if you want a physical copy of the game, good luck, it's super rare now and costs a lot of money. To find out what came in at #13 click here!